You might recognise this kit from the Beauty Gifts you Won’t be Re-gifting feature? I said then I doubt I’ll be able to wait until Christmas...and guess what, I couldn’t. See, the problem with waiting until Christmas is, you can’t wear them to your Christmas parties! What I love about this set, it’s a complete look in one! Ideal if you’re short on time, not sure what colours go together or just fancy trying a complete new look. 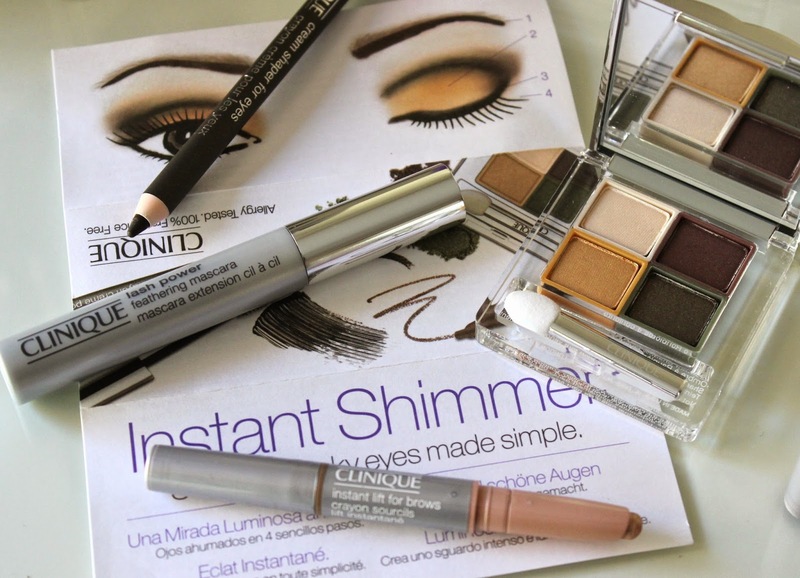 The set includes everything you need to create a neutral shimmering chic look. 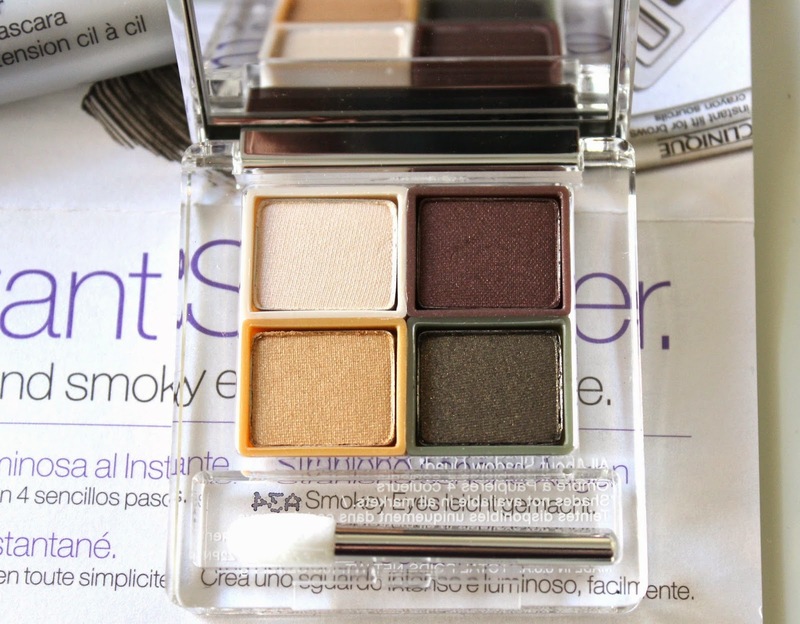 All About Shadow Quad, 2.28g containing four soft-to-smouldering shades – a natural cream lid colour, a rich, warm brown with a hint of plum, a shimmering gold and a beautiful smokey olive. Creamy Shaper For Eyes – A creamy-smooth deep eyeliner pencil with a hint of gold shimmer. Lash Power Feathering Mascara in Black Onyx – a glossy black. 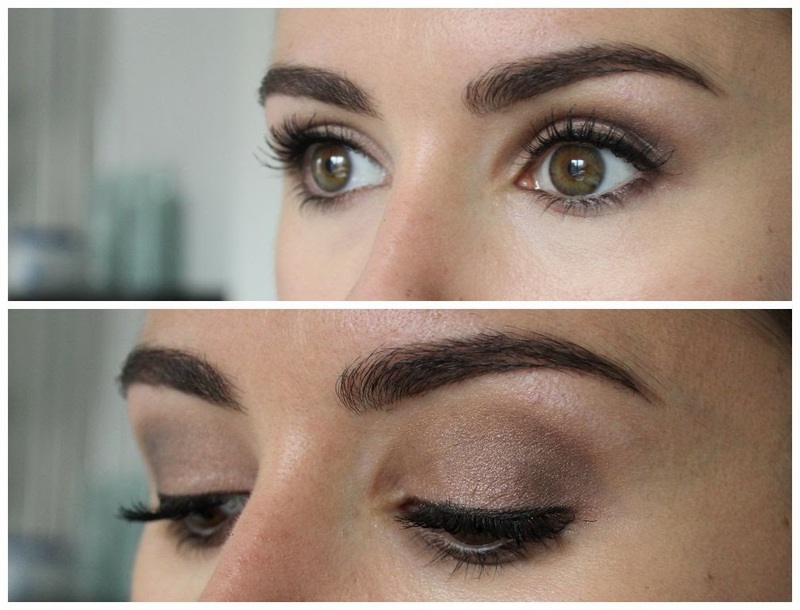 Instant Lift For Brows in Soft Blonde to highlight the brow bone. The shadows are beautiful. I have hazel eyes and this colourway really brings out the green. The eyeliner is the star of the show. 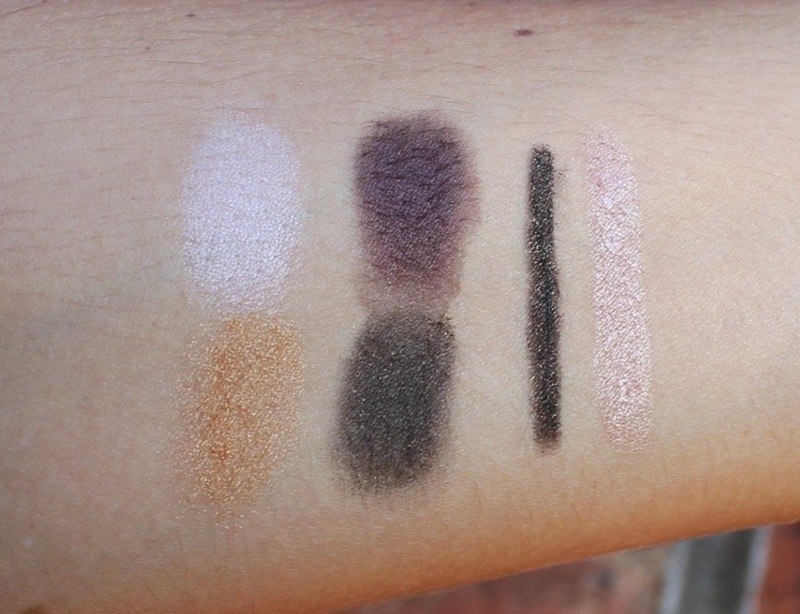 It reminds me of Urban Decay’s 24/7 liners – glides on creamy, and then does.not.budge. The mascara is light and feathery, but you can easily up the amp with a few coats. 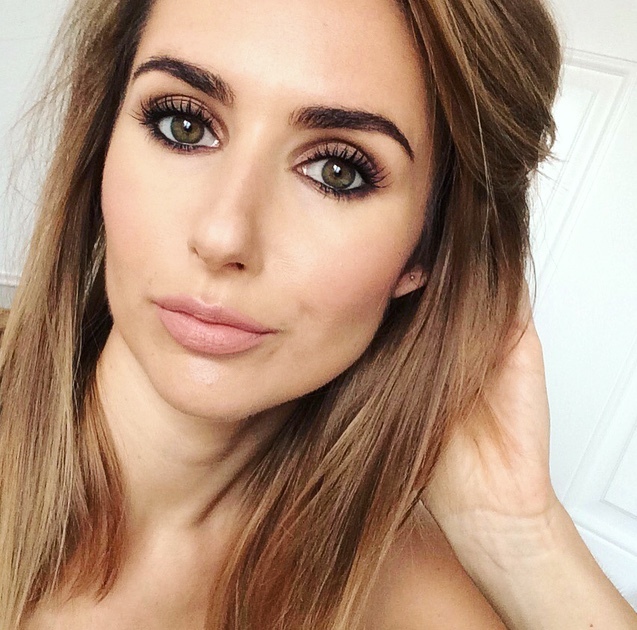 The brow highlighter has a beautiful champagne shimmer – don’t be put off by the “blonde” tag. Clearly I ain't no blonde and it works for me.